We need you to help stop plastics, litter and other items reaching the ocean as part of our Citizen Science Investigations (CSI) Plastic Tracker campaign. Our latest CSI project, launching during Keep Britain Tidy’s Great British Spring Clean, aims to help people learn more about how rubbish gets into the ocean, while also helping us to take care of rivers and their surroundings across the South West for the benefit of all. Simon Browning, our Senior Data & Evidence Officer said: “Everyone is aware of the problem with plastic in our oceans, and the devastating effects it causes. Results from information volunteers collect will feed into our popular CSI scheme, whereby participants, affectionately known as ‘river detectives’, monitor water quality using test apparatus, as well as noting other changes to the river environment. 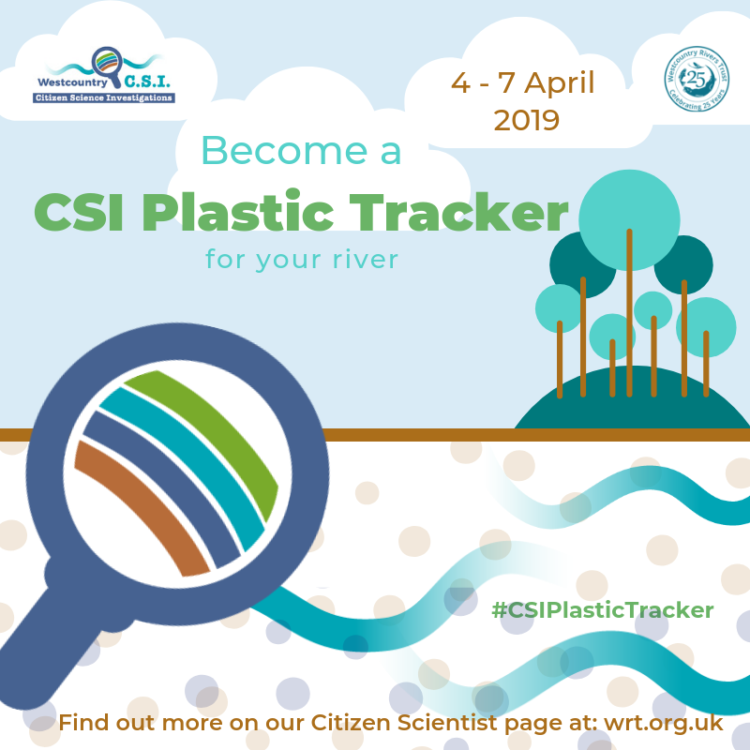 CSI Plastic Tracker volunteers are being asked to focus specifically on taking photographs of a river, stream or tributary of their choice* for evidence of plastic and rubbish such as sanitary products or fly-tipping between the initial dates of April 4 to 7. As wind and rain can carry litter into drains and rivers which transport it to the sea, by finding out where there may be littering issues on rivers across Cornwall, Devon, Dorset and Somerset, we aim to help stop problems at source. Litter and plastic are not the only threat rivers face and CSI Plastic Trackers can also note issues such as pollution from sewers, soil erosion and road run off at the same time. Simon added: “Once a volunteer has recorded the details, and if it’s safe to do so, they are free to tidy up the area if they wish and share their before and after pictures too along with shots of upstream and downstream. “Our review of the data collected will help determine what long-term remedial action may be needed such as organised community clean-ups. We are celebrating our 25th anniversary in 2019 and have delivered numerous river cleans during this time, but we hope this campaign will provide an alternative means for people unable to attend clean-ups on specific dates to still be involved with tackling the plastics and debris problem. Email [email protected] to register to be a CSI Plastic Tracker before 2 April. You will then be contacted about taking part and provided with further information. You can also join Westcountry CSI on Facebook. 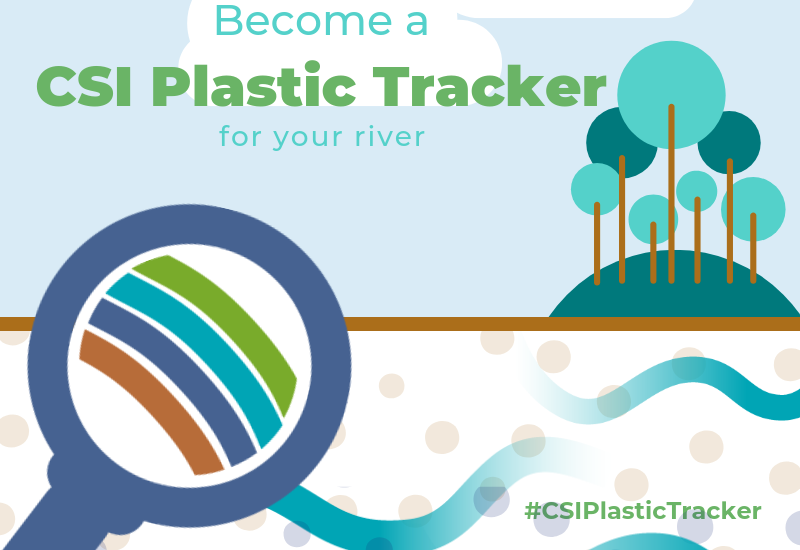 Use #CSIPlasticTracker to share your river photos, #GBSpringClean if you can safely clean up the rubbish you are tracking, or #TrashTag to share before and after tidy up photos. *Please survey a river location/s which is safe and legally accessible.